Beginning this month, Firefox will no longer default to Google for searches. Mozilla and Yahoo announced a five-year partnership making Yahoo the search engine of choice for Firefox in the US, on both mobile and desktop. Mozilla’s last agreement with Google was in 2011. Since then, Google launched their Chrome browser, which is in direct competition with Firefox. Searching Firefox via Yahoo feels and looks a lot like Google. 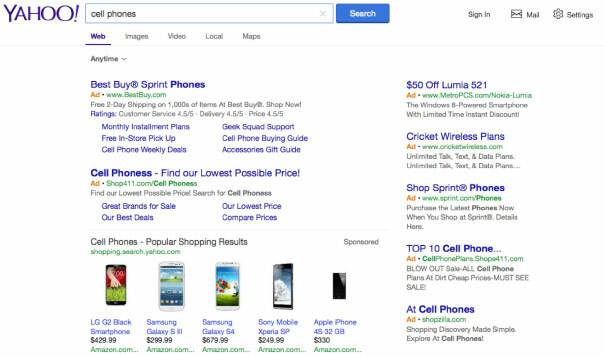 Unless a Firefox user notices the Yahoo logo at the top right, they might not even realize they are no longer searching with Google. With about 16 percent of the US browser market share, Firefox isn’t likely to eclipse Google stateside anytime soon. But Firefox recently released their OS mobile devices in many other parts of the world and Mozilla has implied that Yahoo will become the default browser for these devices. The search landscape changes so rapidly and it can be difficult to know if your SEO is still appropriate. As a full service marketing agency, Ridge Marketing knows where SEO is now, and where it is going and we can help you. Contact us.